Sign-up and receive Property Email Alerts of Residential New Developments in Muizenberg, Muizenberg. Cape Town's coastal properties with views remain highly sought after, however only a privileged few can afford the luxury of the Atlantic Seaboard where space to develop is like hen's teeth. Just around the coastal bend, though, there are plots with spectacular views, space galore and affordable price tags. 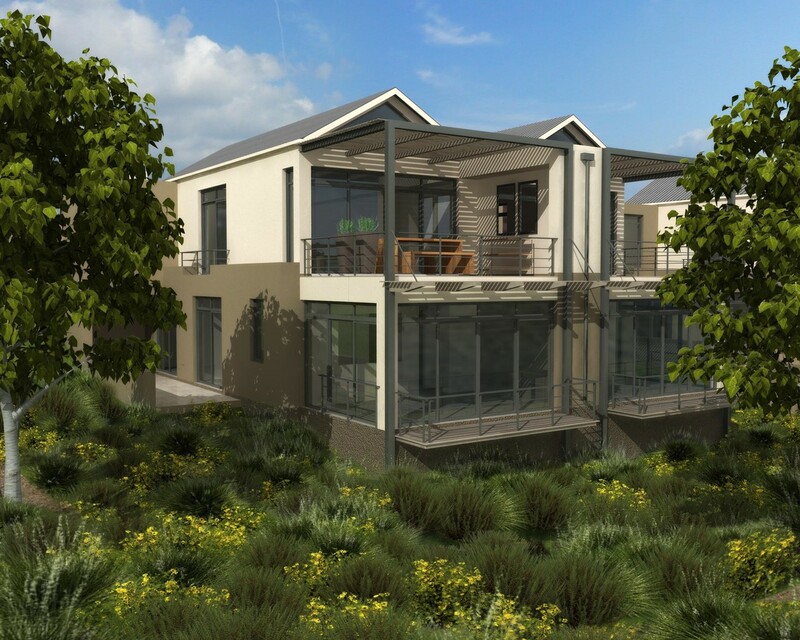 Currently up for grabs is new development Klein Welgemeend estate. Located just beneath Boyes Drive, on an east-facing slope of Muizenberg Peak, the 17,701m Klein Welgemeend estate enjoys commanding views over False Bay across to Hangklip, and of Zandvlei northwards across the suburbs of Cape Town. Home to an original, elegant Cape Dutch manor house, which has been granted heritage status by Heritage Western Cape, the estate boasts an authentic colonial charm. The historic home with its original polished wood floors and Victorian fireplaces has been beautifully maintained and restored. It's set above a terraced lawn and croquet green to be retained by the developer. Thanks to the vision of architect Nick Border, which provides for natural materials and textures such as wood and stone in neutral shades to blend in with the surrounding woodlands and rocky mountain backdrop, the manor house will continue to hold centre stage once the surrounding residential estate is complete. Overlooking the protected waters of False Bay, Lakeside lies between the suburbs of West Lake and Muizenberg, with the rugged Steenberg, Mountain of stone, towering in the backdrop and the Zandvlei (sandy lake) in the foreground. Below Lakeside, the Zandvlei Lake offers a number of activities including yachting, windsurfing and canoeing, and moments away, Muizenberg beach is a favourite of surfers, swimmers and walkers.